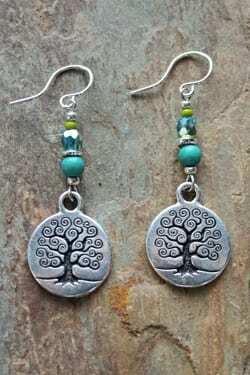 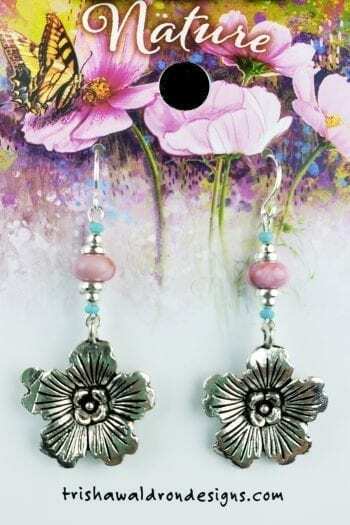 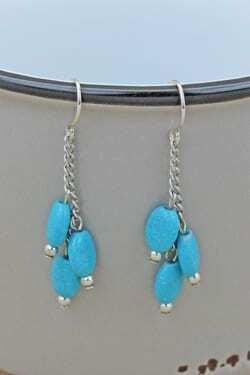 Turquoise Dangle Handcrafted Earrings made in USA. 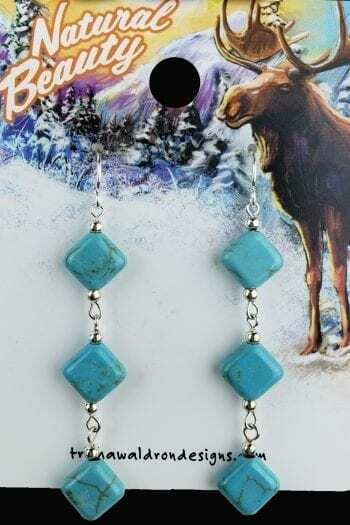 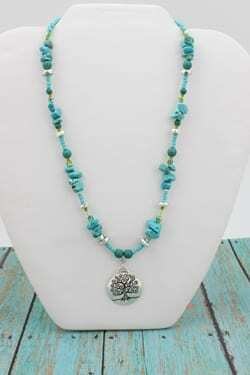 Faux sleeping beauty Turquoise designed on a silver plated chain. 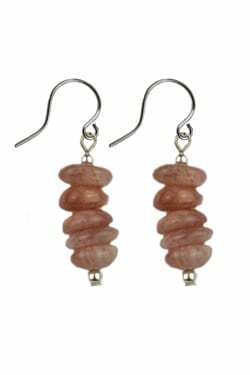 It is the oldest and most popular gem stones of all time. 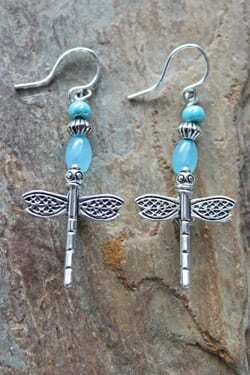 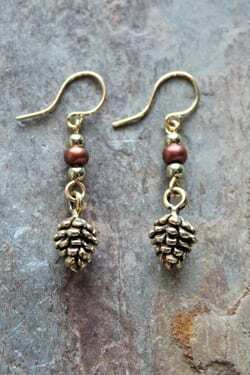 Ear wires are hypo allergenic and are for those with sensitive ears.